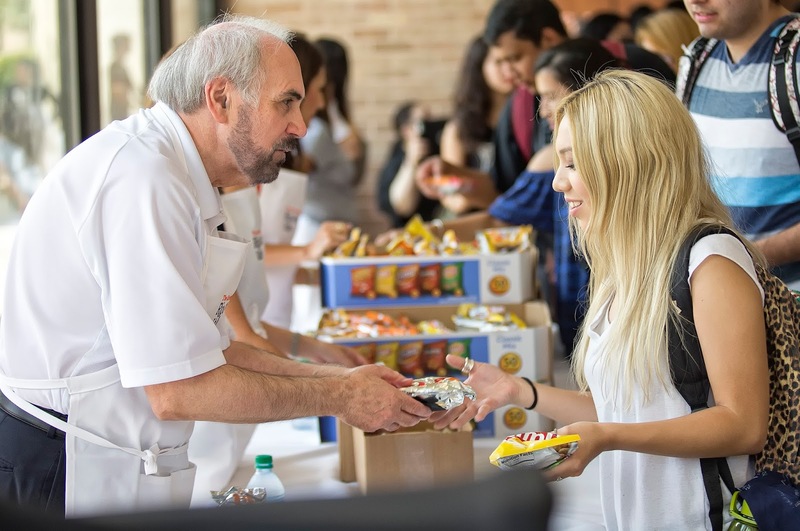 Guy Bailey, president of The University of Texas Rio Grande Valley, invites all students to gather for a festive hot dog picnic, as part of Best Week Ever, celebrating the first week of UTRGV. Bailey will serve up the hot dogs, giving him an opportunity to personally introduce himself and meet as many students as possible. The Edinburg Campus had its Picnic with the President on Tuesday, Sept. 1, where Bailey handed out more than 1,500 hot dogs along with chips and drinks. Student Involvement staff will be giving out T-shirts, key chains and other items. For more information, call the Brownsville campus Student Involvement office at 956-882-5111.